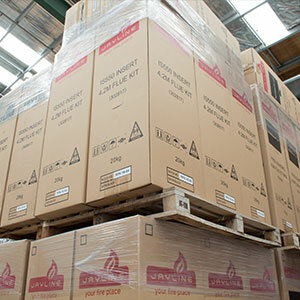 For over 40 years, Jayline has produced wood fires specifically for New Zealand homes. While the look of fireplaces has changed over the years, quality, innovation and service have always been paramount to our Nelson-based company. Jayline is brought to Kiwi wood fire consumers by Retail Links – a 3rd generation family-owned business specialising in the design of wood fires, including Ultra Low Emission Burners (ULEB’s). Jayline has seen many changes in the wood burner industry since 1975 including style, fuel type, technology, efficiency and emissions. Throughout these changes the brand has stayed true to ensuring customer satisfaction is at the heart of all we do and ensuring customer support, including technical advice, parts and troubleshooting, is never far away. Retail Links also distributes Galaxy Spa Pools and Broil King BBQ’s. You can find these products, along with Jayline wood fires, in 4 Seasons’ stores and other specialist fireplace shops across the country. The Jayline design team are a specialist collection of creative graphic design, engineering and market research personnel who are all based in Nelson. Our team research local and international wood fireplace trends to bring Kiwis the leading product styles, features and technologies. 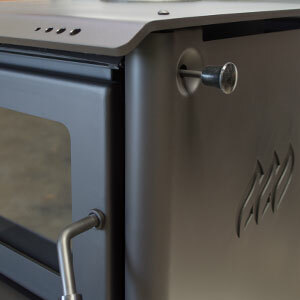 We ensure that new wood stove designs provide heating solutions that meet the needs of typical Kiwi homes of today and tomorrow, such Clean Air fires for metro areas and rural models for those on over two hectares. Our future technology and innovation programme led to Jayline delivering New Zealand’s first ULEB (Ultra Low Emission Burner) – the award-winning Walltherm. We understand that the Jayline customer is increasingly discerning and someone who wants a high quality, safe product that exceeds expectations and comes at a fair price. That’s why our 2017 FR Series fireplaces were designed using feedback from wood fire consumers. Jayline’s vision is to make our fires the heart of every Kiwi home and the source of many cozy moments. We guarantee quality materials that are specified to meet or exceed New Zealand standards for endurance, resilience and efficiency and our warranties reflect the trust we have in our products. We partner with a purpose-built production facility that use the latest manufacturing technologies and specified high quality mild-steel to ensure precise reproduction of the Jayline’s new wood burner designs. CNC-robotics and laser tooling ensure that every fire has a uniform look, a high quality finish and a consistent performance, which gives us the confidence to back it with the industry’s best warranty – 15 years. Further to the design input, the Jayline Technical Services Manager (who has been involved in wood fire design for over 30 years) oversees the technical product assembly and complete finish of each fireplace. This means no product goes to market without being closely scrutinised to ensure the highest quality standards. A little known fact about Jayline is that our production facility delivers over 20,000 wood fires to Australia and New Zealand every year. We recognise that at present the New Zealand wood fire market is changing dramatically with the increasing uptake of low emission regulations by local governments. The increasing affordability of Ultra Low Emission technology is encouraging more and more Kiwis to choose the environmentally conscious option. This changing market has spurred our development of new fireplace technologies and incorporation of contemporary design, resulting in more efficient appliances, with more features, plus a continued commitment to improved customer support. The Jayline dealer network covers all of New Zealand including bigger centres like Auckland, Wellington and Christchurch and smaller locations in between. Some retailers utilize eCommerce, making supply available to all regions of the country. All distribution is centred out of Jayline’s central hub in Annesbrook, Nelson, which allows a quick delivery of stock to both the upper North and lower South Island. Since 2016, Jayline has structured the product and service delivery around specialist personnel to handle each specific requirement of the business. 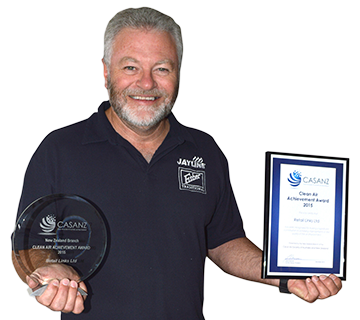 Ross is the lead engineer in wood fire design, assembly, testing, compliance and troubleshooting, Ross has been involved in New Zealand wood fire design and production for over 30 years. Ready to talk? Find a dealer near you.